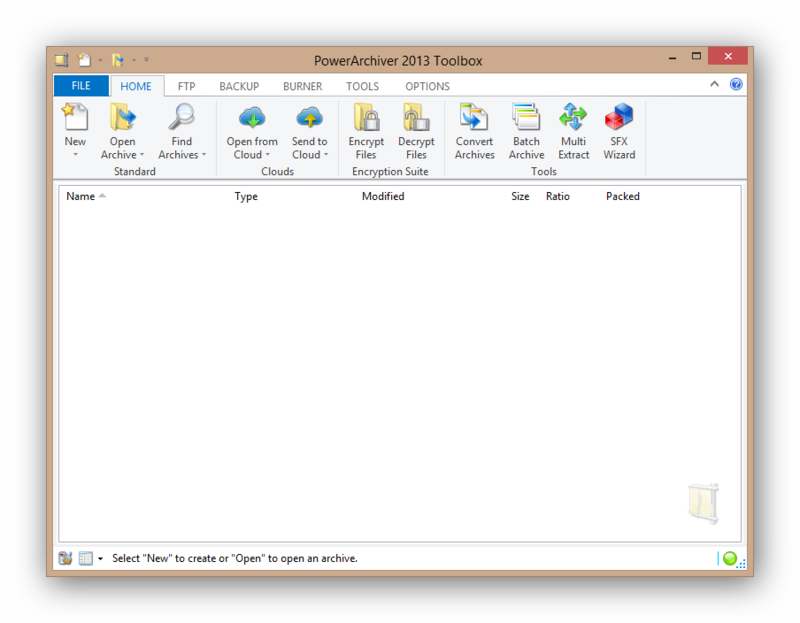 PowerArchiver 2013 Beta 5 released! Dear users, here is the BETA 5 of PowerArchiver 2013. For this 14.00.23 release, we worked on cloud support, translations, PA Starter (Queue), ftp, backup, rar and more… All in all, we have closed 23 bugs/wishes/improvements from our tracking system. Full OpenPGP support via Encryption Suite – Full support for OpenPGP format. From encrypting/decrypting files to creating/importing/exporting OpenPGP keys. PowerArchiver can encrypt any archive with OpenPGP format and then Add/Delete/Edit files inside transparently, without need to go through several steps as with competing products..
PowerArchiver Cloud – PowerArchiver Cloud can Download/Upload/Add files/archives from following business/SOHO cloud services: Amazon S3 and Microsoft Azure; consumer level cloud services like: Dropbox, Google Drive, Box.net, Microsoft SkyDrive as well as our own experimental AttachmentCloud service..
More Advanced Modern/Ribbon Interface – New Windows 8/Office 2013 inspired skin makes PowerArchiver interface look stunning, while making it easier to use. Truly best of both worlds. Classic toolbar option still remains, now with improved loading speed. RAR 5 format support – PowerArchiver can open and extract RAR 5.x files. Of course, you can even create/edit them if you configure rar.exe to be used within PowerArchiver! Significantly Faster ZIP engine – Our advanced multi-core ZIP/ZIPX engine has been optimized for maximum speed, now up to 30-50% faster than WinZip’s multi-core engine (and much much faster than SecureZIP’s and WinRAR’s ZIP engines), while providing similar compressing strength. 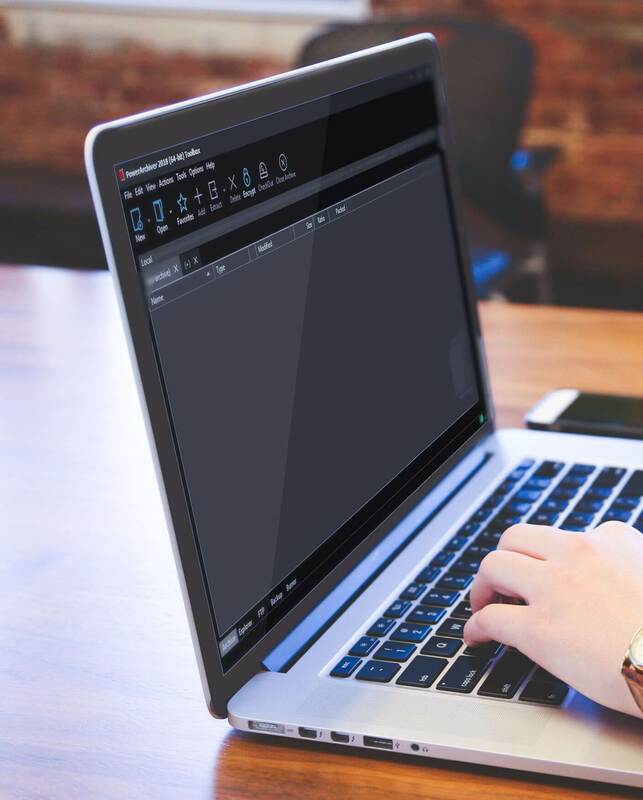 Power saving mode for ZIP engine – ZIP/ZIPX engine has been optimized to spend less CPU power when your laptop is in power saving mode. PowerArchiver will take up significantly less CPU when you have power saving mode, while still being quicker than competition, thus saving your battery while you are on the road. You can download PowerArchiver 2013 14.00.23 BETA 4 from our download page. Previous Post PowerArchiver 2013 Beta 4 released! Next Post Zip To Email (ZTE) 1.00.25 released!